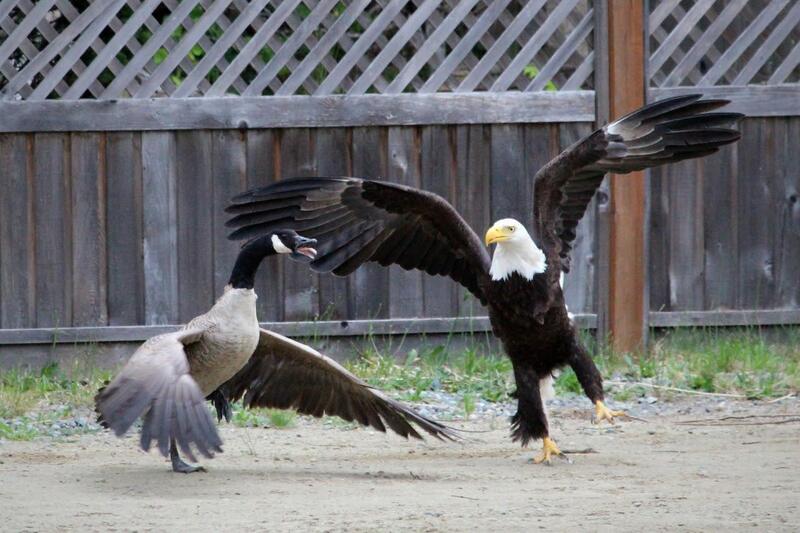 An amateur photographer who was vacationing at a resort in B.C captured a rare encounter between a Canada goose and a bald eagle. 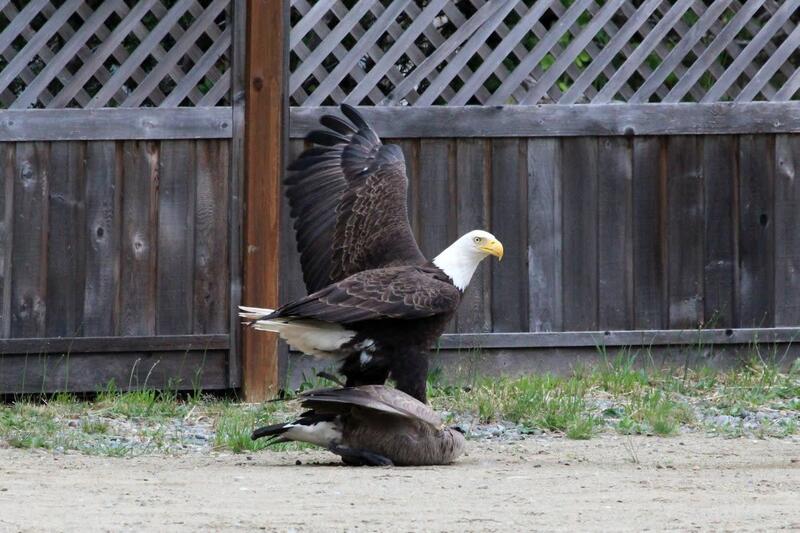 Lisa Bell of Browser, B.C., was with her family over the weekend when she spotted the eagle landing on top of the goose. “I scooted to get my camera, and when I came back down he was still there. The goose basically was playing dead,” she told CTV Vancouver Island. As the confrontation unfolded, Bell snapped away, capturing what some are calling an epic showdown between the two iconic birds. So how did the scuffle end? 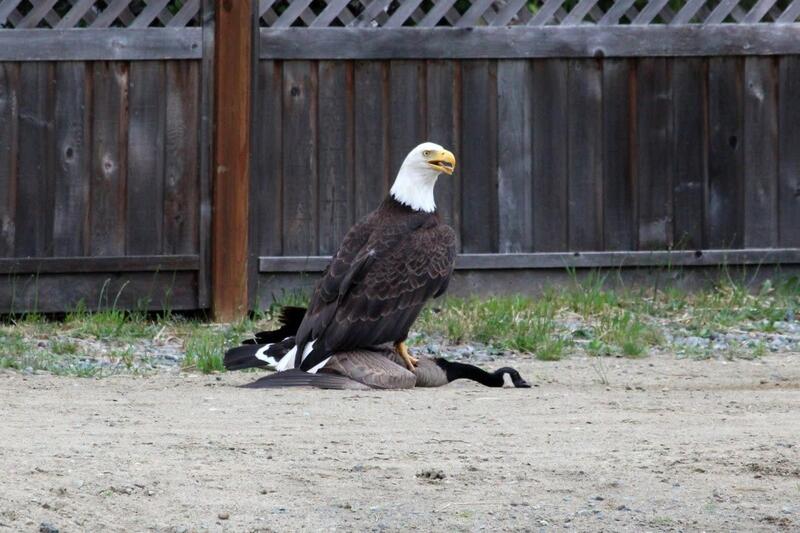 The goose managed to escape the eagle’s grip.